With Super Mario Maker around the corner there seems to be a consensus - at least in this pre-release stage - that Nintendo has got it right with this creation tool. When you combine the excellent tool-set with a potentially endless supply of levels you arguably have - as we described it in our review, in any case - the definitive Wii U game. Even if not all have been as impressed as we were, it's nevertheless earned critical acclaim. Super Mario Maker, however, doesn't spell the end of conventional and structured 2D Mario games; in fact, we'd bet a fortune on that. The creation tool still has limits, after all, and full titles in the series will still have broader scope and potential for extravagant designs beyond the complicated creations that Wii U owners will create in the weeks to come. It's easy to forget now, but the most recent entry - New Super Mario Bros. U - was a good example of the diverse environments, gameplay mechanics and even effects such as dynamic camera movements that just aren't possible in Super Mario Maker. In that sense, then, Super Mario's 2D future remains a prominent part of Nintendo's outlook. It remains so for purely commercial reasons, too - these games, throughout Nintendo's entire history and certainly in the 'New' era kicked off on DS, are vital in selling systems and making the company a lot of money. Yet in playing Super Mario Maker, looking at the results of a recent poll here on the site and assessing sales figures for recent entries, it's striking how opinions and preferences of Nintendo's most serious fans are at odds with the market reality. That is a challenge for Nintendo to contemplate. So, what are we talking about? To take the first two areas cited above, let's start with Super Mario Maker. In the media pre-release build of the game there have been servers specifically setup for the purpose, which will no longer be there once the game launches. Even with that relatively small group of reviewers, Let's Play video creators and Nintendo staff, however, certain trends have emerged. There's a natural inclination for the retro templates to be used the most - Super Mario Bros., Super Mario Bros. 3 and Super Mario World - and for particularly extravagant designs. The New Super Mario Bros. U template - which also includes power-ups from the Wii entry - is typically used by those keen to employ wall jumps, but is less prominent. Of the 50 courses in the 'Featured' category, as an example at the time of writing, 11 are using the U template, still under a quarter of those on offer considering the fact retro templates out-number the modern 3 to 1. In the 'Star Ranking' category of the most popular courses just 8 out of 50 utilise the newest template; that's also bearing in mind that the U option is one of the first unlocks in the game. Early owners of the game are gravitating towards the retro look and play style. Then there's the poll we ran this past weekend. At the time of publication we've had nearly 3,300 votes, and Super Mario World has established a dominant lead. It gets tighter in the chasing pack, with Super Mario Bros. 3 in second place, closely followed by Super Mario Galaxy, then Super Mario 64 and Super Mario Galaxy 2, followed by Super Mario 3D World. That's a good mix of old and new 2D and 3D games, though after 3D World all other entries fail to get past 2% of the vote. Though the leaders are a healthy group of modern and retro 2D and 3D entries, it's telling that none of the 'New' 2D games - of which there are now four across as many systems - made any sort of dent. Admittedly it's a tough ask to pick just one Mario game, but the relative diversity of the top 5 shows that even with such a tough choice varied tastes, ages and experience can attract varied results. We're not saying a poll of a few thousand people is fully representative, not by a long way, but the results do seem to reflect conversations that have happened online in recent years. Those that are heavy-duty, committed Nintendo gamers often express a preference for the 8- and 16-bit eras in 2D platforming, and complaints often follow the New entries around. 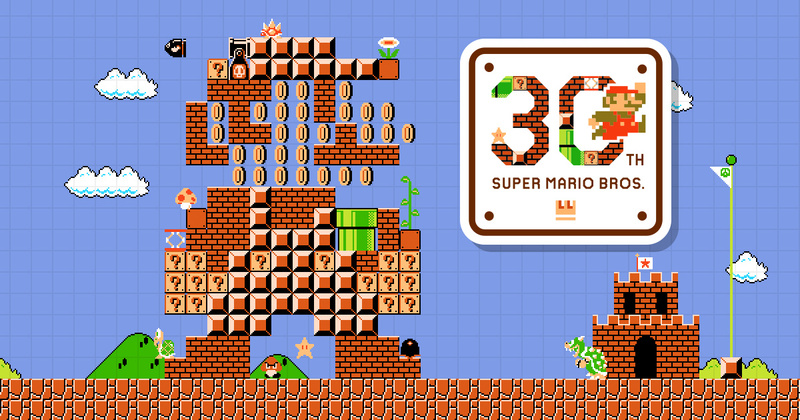 Some bemoan the accessibility in terms of the ease with which you can accumulate coins and lives, and others seem to feel the new entries are too sanitised, lacking the wacky mayhem typified in particular by Super Mario Bros. 3 and Super Mario World. Though this writer often defends the newer games, there are certainly valid arguments to be made along these lines. Yet, for Nintendo, stripping back difficulty and quirkiness in exchange for cleaner, crisper design pays off. Sales numbers for the New series are huge - below are the latest sales totals as confirmed by Nintendo, varying due to differing hardware sales across generations. Of course, with lower hardware sales come drop-offs in sales, though the attach-rate for NSMBU in particular is impressive. Aside from New Super Mario Bros. 2, however, all of the 2D titles have outperformed their 3D equivalents, though 3D World may yet overtake NSMBU by the end of this generation. Nevertheless, a significant generation of gamers have grown up playing the 'New' games; for many 2D Mario isn't about the NES and SNES era, it's about these modern entries. It's a topic to revisit again, but based on circumstantial evidence, observations and hard numbers there does seem to be a disparity between what works on a mainstream level for Super Mario and what some of the most dedicated fans want. It's awkward for Nintendo, in a sense, balancing accessibility and commercial necessity with what its biggest fans seem to want. It can be argued, of course, that the very nature of Super Mario Maker means it will cater to practically any Mario fan, and it certainly fits the criteria of delivering a wacky, crazy blend of Mario platforming. Yet when the next full 2D Mario title lands the same old debates may re-surface. What's the answer? We're not sure there is one, beyond Nintendo finding a careful blend of trying new ideas in terms of level design and power-ups while retaining a style to win over a mainstream audience. It'll be interesting to see whether the 'New' naming convention continues in the next entry, too, or whether another rebrand will be attempted. With the 30th Anniversary of Super Mario and with Maker around the corner, now is perhaps a good time to debate this topic - this is a Talking Point, after all. Let us know what you think. Do you want a change of direction, a move back to retro-style design, or more of the 'New' style? Are direct comparisons between retro classics and the modern entries even fair when considering the effect of nostalgia in polls and comments sections? I do believe that if Nintendo releases future Super Mario 2D games, they'll need to include mechanics that aren't available in the maker to a significant degree. It may be time to borrow from some competitors in that case. Sorry, one thing I'm not quite clear on for super Marino maker; do the physics change with each template? I've been playing Super Mario Bros since the mid-1980's. I love them all, though Super Mario World is probably my slight-favorite over Super Mario 3. I am excited to get busy making levels using all the templates! They'll just have to add more features, powerups and mechanics. Maybe a new art style - perhaps hand-drawn HD graphics. I'd love to see them go back to 2D sprites with a more hand-drawn feel, akin to the new Rayman games in visual appeal (though with a unique Mario flare of course). I just don't much care for the new 3D sprites in the 2D games. The colours feel washed out (especially on NSMBWii) and the lighting is dreary and they all feel plasticy. The games are great, but the visuals... Nintendo can do better. They looks great in 3D games, but in the 2D series not so much. I'd also love to see them be a bit braver with new things. New power ups are cool but they're not enough. Really mix up the formula. I've been playing WarioLand on my 3DS recently for the first time, it does everything differently bit still feels like both a Wario title and a Mario offshoot. Now that anyone can make the standard Mario, Nintendo need to bring something whilst unexpected. There's no way I'd skip a 2D Super Mario game. Their level designers are top notch (except for NSMB2) and like the articles says, Mario Maker gives you a lot of tools to work with but there are still things that can't be done in MM. One thing I dig about the Mario Series is ramp up of difficulty while playing the game. I think they should try not to be on the safe side, until Super Mario World the 2D games had many groundbreaking innovations with respect to the previous entry, this is what should happen with new 2D entries. Maybe trying a Metroidvania approach? Also, as I said before, they should try experimenting with new graphic styles (I would be intrigued by a properly shaded vector art if this possible). Frankly, I would rather play as Larry Koopa rather than seeing his same New super mario Bros. Wii model with the same animations for a fourth time! P.S. : I'll be honest here, I would really like a 2D game where you play as Bowser Jr. and his former brothers and sister, like a WarioLand second edition! You are judging the appeal based on A POLL in a NINTENDO FAN SITE? Polls are meaningles. What matters in the end are sales. I know you guys HATE the "S" world, but that's reality. Here's a FACT: The 2D gameplay, both the control and camera (and the level design for the most part too), is just more intuitive and polished than the 3D gameplay. For me, that makes the best 2D Super Mario Platformers simply superior to the 3D ones, in terms of that pure gameplay. Now, if Nintendo could make a new 2D playing Super Mario Platformer with both the classic 2D control/gameplay and camera but with a fully developed 2.5D engine, similar to how it was done in Kirby Triple Deluxe as an example, then I think it could be the best Super Mario platformer ever, period. @Kirk Could you explain your request a bit more? The New Super Mario Bros. series, especially the U version, has similar controls to Super Mario World, has 2.5D graphics (3D but only seen from the side) and the gameplay itself is reminiscent of Super Mario Bros. 3 and World with a few twists (such as wall jumping). @Mister_Wu Well that's why I'm saying they are more popular than the 3D games, because ultimately they're both more approachable and more fun for more people. They don't have proper 2.5D graphics however, as only the actual backgrounds and characters are in proper 3D. The main level tiles and all the things you're actually jumping about on (blocks, ground, hills, etc. ), are all created in 3D but rendered out as flat 2D sprites (from what I can see), OR they're locked in a 2D perspective with no visible depth, such that you get no sense of them being in 3D. It makes them look like they're just cut out and stuck over the background at times. The newer New games are slightly better looking that first couple but they still look a bit cheap and plasticky/rubbery imo. So, what I'm saying is that I'd actually want another 2D playing Super Mario Bros game over a fully 3D one BUT I'd actually like Nintendo to use a fully 3D graphics engine, much like the one seen in Kirby Triple Deluxe as an example*, and not the slightly fugly, imo, 2D flat rendered looking graphics it's gone for in the current New Super Mario Bros games. The presentation, while obviously more modern than the older 2D games, actually lets the New games down slightly imo. That platicky/rubbery rendered look on everything, with mostly flat level tiles over a 3D layered background, just doesn't work for me, and I certainly don't think it's the best look for a Mario game. 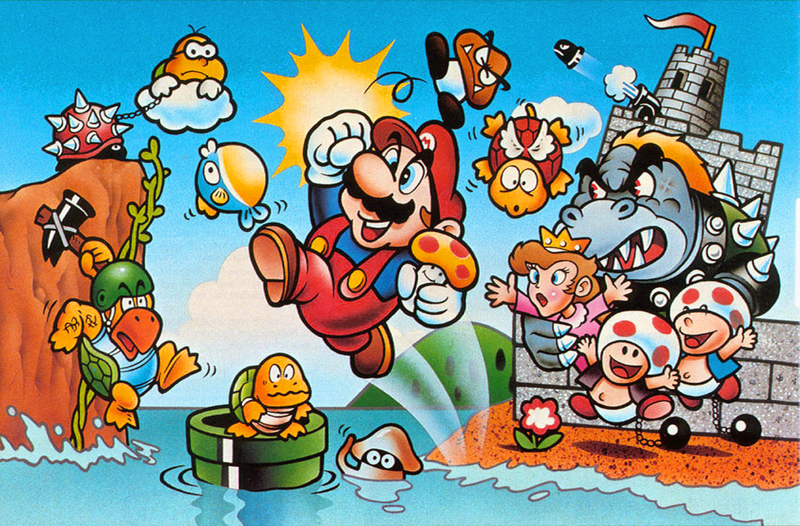 Personally, I really wish Nintendo could figure out how to make a Mario game that looked pretty much just like the artwork for the likes of SMB3 but just in full 3D, although still with the classic 2D control, gameplay and camera. And no rubbery/plasticness. OR, do a brand new proper fully 2D game but with visuals that are that kind of quality ^^^ all the way through (and not the simple flat Flash looking stuff that most proper 2D games go for these days), and with multiple parallax layers for good effect. Also with full animation too. Note: I'm not saying the graphics should just have thick black lines around everything by the way. It's more just that general artistic/illustrative look that I like in those images above. It just looks very aesthetically appealing, like a really nice cartoon or illustration done by a real artist. I don't think we've got anything to worry about with Mario's 2D future. 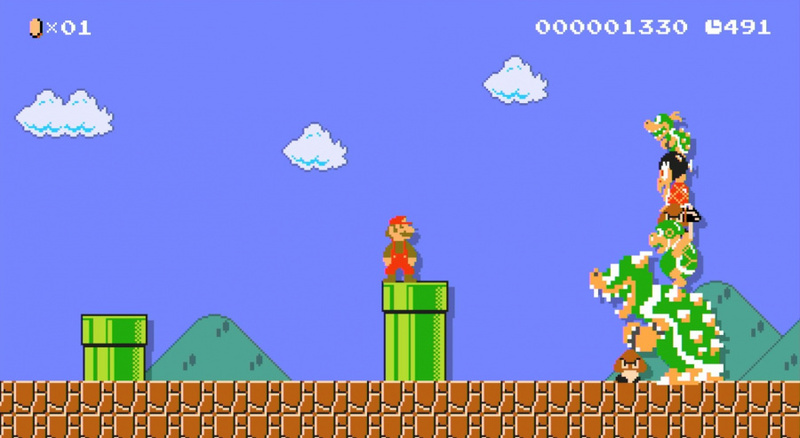 It's going to be excellent fun creating levels and playing other people's level in Super Mario Maker. However, Nintendo have been designing levels for many years, so they should be able to create some of the best and most enjoyable levels to play. It might be a while before another 2D Mario game appears since Mario Maker will keep people busy for a long time, but they're bound to do more eventually. As long as they introduce some new mechanics that aren't in Mario Maker, then a new game can still feel fresh and be very fun. Funny enough, I think Nintendo doesn't do enough with their Mario-related inventions, especially from the 2D games. Look at it like this: from SMB3 onward, basically every Mario platformer incorporated at least one new powerup that had a unique mechanic (Tanooki, Cape, Wing Cap, F.L.U.D.D., Gold Flower, and some I can't recall right now), but many of them are limited to only one game (except for Galaxy's gravity mechanics, including the Spin Jump, and technically Tanooki, but you can't fly with them in the 3D games anymore)). I believe Nintendo wastes a lot of potential with these powerups, despite offering a lot of potential for revisiting. I'm not saying Nintendo should just retool old ideas in new games, but I feel like many creative and unique powerups we don't see anymore in newer Mario games deserve more acknowledgement, at the very least. "considering the fact retro templates out-number the modern 3 to 1." So, three templates out-number one template 3 to 1? Shocking! @luke88 Yes, I'm pretty sure they do. There must be balance. The New Super Mario games get far too much hate for no reason, and the retro games are tough to replicate. A combo of callbacks and retro features with some new improvements are the best way to go IMO. @luke88 Yes, as do the movesets from each game as well. I am going to enjoy playing with Super Mario World physics! And Galaxy 3 would be incredible too. You know, they could do it as a hologram and I wouldn't care. The only thing that makes Mario more or less enjoyable to me is the control. I hated it when the Wii Mario introduced "waggle" and I hated it when the DS version made me use the stylus. Keep the control simple and direct so that I don't have to think about what I'm doing with my hands and can concentrate on what's on screen and I'm happy. I dearly hope the NX ends the obsession with gimmicks (touch screens, dual screens, motion controls, and stylii) and we go back to basics. If they do that Nintendo can have my money. ALL of my money! There will be a new 2D/2.5D Mario game way earlier than that. @AirElephant "I hated it when the Wii Mario introduced "waggle" and I hated it when the DS version made me use the stylus." Don't ruin the sheer control perfection that is the 2D Mario games for the sake of a gimmick. After Mario Maker the 2D games will have to be reinvented somehow. Change the mechanics, but specifically the art style. I've got nothing against the New look, they can make another 2.5D if they want it, as long as it feels fresh. Surprise me, Nintendo! Q: Would consumers prefer a 2D Metroid then? What about other games? I guess 2D is just more accessible to more people. New 2D Mario games are like IKEA furniture- modular and easy to assemble. None of us are going to say that modern flat packed table is the favorite thing in our house, but it is still a very important thing to have. How can Nintendo improve 2D Mario? Change the pieces by blurring those rigid pieces. Give us a Mushroom Kingdom City in fog, or a Mountain a night, or the platforming rainbow road with it raining. Make Wario the villian, or Wart, or bring King Koopa's Mother or someone new- or even better- all of them together, each of their attacks combining differently. Just no more Koopa Kids for a while. Maybe think along the idea of powerups that combine- imagine Flaming Ghost Mario or Metal Wings Mario or ANYTHING. What 2D Mario needs is the idea of instead of A+B, we need A+B+C+D to make different ideas. I like the level design of the NSMB series, but it's all so lacking in personality. A new entry, maybe titled Super Mario Bros. 4, (or 5) with hand drawn HD graphics and a good soundtrack would really excite me. I'd like to see a really fleshed out world map again, and new suits. So I think there's still a lot of potential for 2D Mario, it's just a matter of Nintendo getting its act together. @Pixel-Perfect Yeah, all the control, gameplay and level design (in terms of gameplay) is very solid, imo, but the graphics are just platicky/rubbery and it all looks a bit by-the-numbers visually for the most part. I think Nintendo could really do a lot more to realise the Mushroom Kingdom in glorious 2.5D. In my opinion, whenever the next Super Mario Bros. game gets made, I want to see something new. I'd like to see a new art style, a few new mechanics and techniques, and a blend of new enemies and old ones. Do what Super Mario Bros. 3 and Super Mario World did - they made some massive overhauls from what their predecessors did, and it worked flawlessly. @Kirk why would they ever make a new engine when the previous engines are fine? Anyways here's what I think the reason why the 2D ones are sold more than the 3D ones. 1. There are more of 2D games than the 3D ones. If you count the 3D ones, there is only about 6 of them where as if you count the 2D ones excluding Mario Bros along with the remakes and ports as well as the US version of bros 2( and if you feel that Super Mario Land 3 isn't exactly a Mario game), you get a total of 10. Since the quantity of the 2D games are more than the 3D ones, then the answer is obvious that the 2D ones sell more. 2. The goal for the 2D games are straightforward compared to 3D games. The 3D games require you to explore a lot to reach the goal and while there's nothing wrong with that, the 2d ones avoid this mechanic inorder to make it more appealing to a larger audience. 3. 2D appeared first than the 3D ones. Obviously, some games that made an appearance in 2D are bound to be more notable than the ones in 3D. 4. The 2D games have lots of power ups that the 3D games don't have much on. Some can argue that the Galaxy games have a variety of power ups but these can only be used for a limited time unlike in the 2D games where you can use them as much as you want. Also the power ups aren't the exact duplicates until 3D Land and 3D World showed up. For example, the Wing Cap while similar to the Cape doesn't behave exactly like the cape. I don't find anything bad about the 3D ones. If anything, Nintendo seems to be the only one determined to do 3D platform games. I don't count Jak and Daxter and Crash Bandicoot as they are ripped straight out of SM64 game mechanics only with different art assets and stories. Eh, I honestly don't care too much one way or the other what the games look like, as long as they're nice to look at. Mario platformer are and always have been about the gameplay first and foremost, that's what matters. The look's always going to be changing, anyway. @Artwark "why would they ever make a new engine when the previous engines are fine?" Well, to be fair, that's probably exactly what Nintendo thinks too. It's not what I think. I forgot who but as I was reading through these comments I read that someone wanted a hand-drawn style. I immediately thought of Wario Land Shake It! (Or Shake Dimension since this site is run in the UK I guess) . That game's art style was wonderful in my opinion and I would prefer it much more than the rubbery feel of the New series. @CB85 "Mario platformer are and always have been about the gameplay first and foremost, that's what matters." Well that's true but do you realise that Nintendo added a chip into the SMB3 cartridge specifically so they could push the graphics and make it one of the best looking games on NES. Super Mario World was a flagship launch game for SNES and was created to show off just how amazing the new hardware was, which the graphics were an important part of. Yoshi's Island used the FX Chip specifically so it could push some of the best graphics (and artistry) seen on SNES, including the use of some 3D elements, which was still relatively rare at the time. If we consider a game like Super Mario 64, it was specifically created to not only show of the new control and gameplay possibilities on N64 but also a showcase for how mind blowing the graphics on N64 were for the time too. The Super Mario Bros games have always been at the absolute pinnacle of the gameplay standard but don't underestimate how much good artistry has mattered in the franchise history too, or how much impact good artistry can have on the perceived quality of a game. With better realised visuals, less cut-and-paste generic platicky/rubber looking, I genuinely believe the New Super Mario Bros games would have actually achieved generally much higher critical acclaim. Tech very rarely matters in the long run but good artistry is why it's possible to look at the original Super Mario Bros even now and still appreciate its simple, bold and clean graphics. It's why Super Mario Bros 3 All-Stars version is just all-round more visually appealing and holds up much better aesthetically than the original NES version (despite the NES version still holding up pretty well too). It's why Yoshi's Island is still one of the most gorgeous looking platform games, even today, and one where people still go on about how nice its art and aesthetic is. The lovely, simple, clean and bold visual look of SMB, SMB3 and SMW is why I'd choose those themes in Super Mario Maker over the New Super Mario Bros theme any day of the week. Artistry is also why we won't be talking about New Super Mario Bros in 20 years time in terms of how lovely its graphics or art are. Gameplay is at the top of importance scale, certainly in my opinion at least, but I don't think any genuinely great games should only concern themselves with gameplay and not focus on having genuinely great looking art/visuals at the same time. All the very best games have historically and generally had both, and certainly relative to their time. At the very least, they've tended to have really well realised art, even when it's sometimes deceptively simple, like Tetris on Game Boy for example (which is very strong in terms of pure graphic design). Next Mario game will be Mario Paints U, whereby an AI Mario paints a random person and you have to click either "yes that's exactly what I look like" or "WTF Mario? That ain't cool" to fully confirm or deny (no in between option) if he got you right. I'm calling it now, mark my words people. @Raien I've never been able to completely shake the feeling that star coins are bad for Mario. I prefer the older games, where the levels were more concise, and the secrets you found were more satisfying because they actually benefited you in some way. It was a simpler time, a time when people replayed Mario because it was fun, and not because they had to go back for arbitrary collectibles. @MrGawain Honestly, the Koopalings, in their 25 years history, have been absent/ignored for 9 + 6 = 15 years. Bowser Jr. is currently in more games than the Koopalings are. I don't really think the problem of 2D Mario is the Koopalings, which I find characters with a huge potential if only the Nintendo staff could develop their personality according to their appearance, is that the Koopalings, like many other elements, have been recycled without much effort to make it more varied and deepen their personality: it is not the New Super Mario Bros. series that told us that Larry Koopa likes sports, it was Mario & Luigi: Superstar Saga and Hotel Mario. It wasn't the New Super Mario Bros. series that told us that Larry Koopa is a DJ and head of a lighting company, it was Mario Kart 8. That being said, as I said before trying out a new story in which Bowser and his children are side characters or NPCs and the true enemies are totally different and live in a different place than the Mushroom Kingdom or Dark Land would surely helps the series a lot in avoiding being repetitive, though this is only part of the equation, and maybe not even the most important. New direction. The New games didn't really try to surpass SMB3 or World. They made a sidestep at most. We need another Super Mario Bros 2 (or USA, as it's known in Japan) and / or Super Paper Mario (paper motif not required). 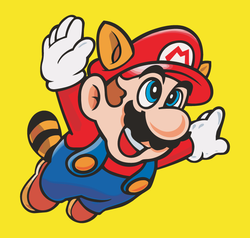 They had the core Mario experience, but had enough twists that you knew they weren't regular Mario platformers. Remember when Mario used a hammer outside of RPGs? Let's bring that back. Multiple playable characters in a 2D game? Get Luigi, Wario, Peach, Toad, Bowser, or heck, the first Goomba from World 1-1 and make them play differently. Who needs Bowser as a villian all the time? Create a new one, or bring back Wart or Tatanga. 1) Make sure a NSMB title is NOT released within the launch window of a new platform's launch. Releasing NSMBU didn't exactly help the Wii U's image during and especially after its initial 2012 launch period. 2) Add some new gameplay mechanic/ability into the NSMB games that will make the new NSMB titles stand out from its DS, Wii, 3DS, and Wii U predecessors. Adding in an online multiplayer is one good idea. Adding in an additional stage creation/editing tool (that isn't nearly as fleshed out as Super Mario Maker) is another good idea. Yes I grew up on SMB, SMB3 and SMB World. Yes I love the heck out of them. But I also love the NEW series. They're great games. Perhaps not as great, but I'd make a good argument that New Super Mario Bros U hit the nail dang near on the head. Not only was the level design absolutely superb, the creativity was far more than anything I'd seen in previous NEW entries, and additions like the Challenge mode really sealed the deal. @Raien You know, I do like the NSMB series and SM3DW, but at the end of the day I wholeheartedly agree with you. They lack fantasy, and this is why they aren't among the best in the franchise. @Kirk I didn't say it before, but the artwork you showed is pretty awesome. Effectively Ubi Art showed us how much you can push pixel art, so I agree with you, I was thinking about vector art just because of its temporal and resolution independence. @DarthNocturnal Yep, since Shy Guys and Birdo are now a part of the Mario universe I don't see a reason why Wart couldn't come again, as it's also a nice looking villain, and Tatanga too would be welcome since he disappeared after Super Mario Land 2 and for some unexplicable reason he didn't reappear in Super Mario Galaxy 1 and 2 even though it would have been an almost obvious decision to have him as a side villain not related to Bowser. @Mister_Wu IF they could get it looking as good as the SMB2/SMB3 examples illustrations or even the Yoshi's Island screenshots (but in full HD) I provided, consistently throughout and entire game, then sure, I'd be happy with vector art. They'll have to put some effort into the next NSMB title, in terms of stage backgrounds, graphical look and power ups. With Mario Maker, what's to stop someone making the entire next game the best they can on Mario Maker? @Minotaurgamer I hate to break it to you, but one of the reasons Mario has been doing so well on the Wii U is the bundles. NSMBU+NSLU and 3D World are the only two bundles I've seen that area constant in the Wii U landscape. I'd rather they just go a loooong time without doing any new ones. Or at least find some way to make the future ones actually feel different and distinct. All of the New games are basically the exact same thing and I'm so far past tired of it. How about a Mariovania type game? Cool be pretty sweet. As a hobbyist who has lobbied for better genre balance and representation since before videogames even went "mainstream" (remember when the West was lucky to even get a new major RPG release, for example? ), my position on these kinds of "one way or the other way" debates is simple: there should be room for BOTH. Whenever the industry has gone wholesale in one direction when at a crossroads instead of offering fans of both directions (and/or the new AND the old one), it's left an entire segment of gamers in the cold...and money on the table. Look at what happened to videogames in general after Super Mario 64; 2D platformers essentially DIED on consoles for almost two full generations until the likes of Sonic Generations and Super Mario Bros. Wii were released. That's a LONG time...and a LOT of gamers who missed out on one of the hobby's premiere genres. And the same problem is now being seen in JRPGs with the widespread abandonment of turn and menu-based battle mechanics in favor of button-mashing, combo-heavy stuff. We haven't seen an offline, story-based Phantasy Star since the Genesis and while it's a great spin-off in its own right, Phantasy Star Online and its success played a big role in that. It's not a bad thing that videogames try new things and go in new directions. It would be wise however not to completely abandon the concepts (and the fans of those concepts) which laid the foundations for the hobby's (or a franchise's) success. I think at the very least, they should include Mario Maker functionality in future NSMB games and let the community toy around with some of the new gimmicks and enemies introduced. That would help the game from feeling less stale because then we can come up with esoteric ways to use them, and I think it would also boost the already astronomical sales by adding an online social component. But yes, they should try to evolve the series in some way if they can. I'm also a big fan of the New series... well, maybe not a big fan of Wii and 2, but a big fan nonetheless. I honestly don't understand why people dislike the series... it's really annoying when I hear yet another person complain about the games, particularly NSMBU. I still think Nintendo will be making more 2D Mario games after Mario Maker. Obvious reason is obvious; 2D Mario games make a lot of money for Nintendo while providing quality platforming gameplay. Mario Maker is also very limiting, despite the fact that there's a load of new stuff in the game; no Star Coins, no checkpoints, and no time limit flexibility (you can't increase the time above 500 seconds). Don't get me wrong, I'm bewildered by the new stuff in the game, and I wish I could get the game on launch day, but it's illogical to think Mario Maker kills the need for 2D Mario games. With the minds at Nintendo, I'm very sure there's still a lot of things Nintendo's developers can do with Mario. What I do think is that Nintendo bundles the sequels/updated versions of Mario Maker with any newer installment of 2D Mario games. The point is that these two games can coexist together without one killing the other, so why sell them separately? Which brings me to my one main wish: PLEASE BRING BACK MARIO VS. LUIGI, NINTENDO! My idea of Mario Vs. Luigi returning is super complicated, but I just want to play it again in some form or another. It's one of the updates I want Nintendo to put in Mario Maker in the future. In all honesty, the most recent Mario games seem...boring. Don't get me wrong, New Super Mario Bros. 2, U, and 3D World are great games. But to be honest, Mario needs more new than old. Seriously Nintendo, if you're wondering why people want Mario Galaxy 3 so badly, then you have no right to make any more games on the franchise. C'mon Big N, we need something new and intriguing! Thankfully Super Mario Maker is a working progress to solve this problem. I've always thought 2D Mario games are best, and I'm ecstatic to finally be able to create my own iconic Mario stages. Here's my message to Nintendo: Don't be afraid to experiment with your 2D Mario platformers. Your die-hard fans are looking up to you to do so! Keep it up! I can't stand the 'New' series. I personally hope they go back to the way they used to be with older 2D Mario games, but I think Super Mario Maker will do a decent enough job at giving me the fix I've been wanting. I could always go back and play Super Mario All-Stars or World if I want their type of gameplay, I suppose. I enjoyed the artstyle in NSMBU. Some levels had very impressive backgrounds, like the haunted house levels and that particular ink-swirl level. Even the 3D model backgrounds look awesome in HD. Despite the fact that I didn't like NSMB2 as much as the other New games, I love what the 3D effect does to the background. It's one reason why I'd love a Mario Maker on a handheld. I'll be using the NSMB2 palette a lot! So I guess I'm the only one who's going to be mostly using the NSMBU palette in Super Mario Maker? I'd prefer SMB2 theme in Super Mario Maker over NSMB. Confusion, really? I thought it was pretty self explanatory. The article implies that we don't need another 2D Mario b/c we can just lay levels in this one, but the ony reason my sons and I even play any 2D Mario is b/c of couch co-op, which they left out of this one, so thats all they need to justify a new 2D Mario game on NX, couch multiplayer. Rayman Origins was better anyway. And I said "done" b/c even though I had more to say - such as how LBP got 2 sequels even though it's a creation game - but I figured multiplayer was all that was necessary to justify my point. @Ichiban I just got done beating Toki Tori 2+, so I'm on a Metroidvania high; I have to say, if there was a Mariovania game, I would play the heck out of that game. I want a new 2D game with hand drawn graphics. I know they'll never do it, but it needs to be done. The NSMB series is plain as white bread. As of late I feel like Nintendo has been distilling Mario games, 3D Land and 3D World included. Everything is too procedural; expected. I love the new style and consider it the best mario style yet. It's just a vocal minority thing. Happens a lot on the internets. Here's the deal... I have been waiting for mario to have some sort of true flight capabilities since I was a boy playing Super Mario World.... I don't get why nintendo has skimped on this feature for over 20 yrs now... I'd also argue that the "new" series seems scant on anything really new from the classics. Beyond wall jumping and sharper visuals, there's nothing very new or fresh... whereas each and every mario game from the original to super mario world, had a fresh feel to it and pushed the franchise further... it's not that I don;t like the "new" series, it just seems stale and unmemorable. I agree Moon, I prefer Nintendo design levels also. 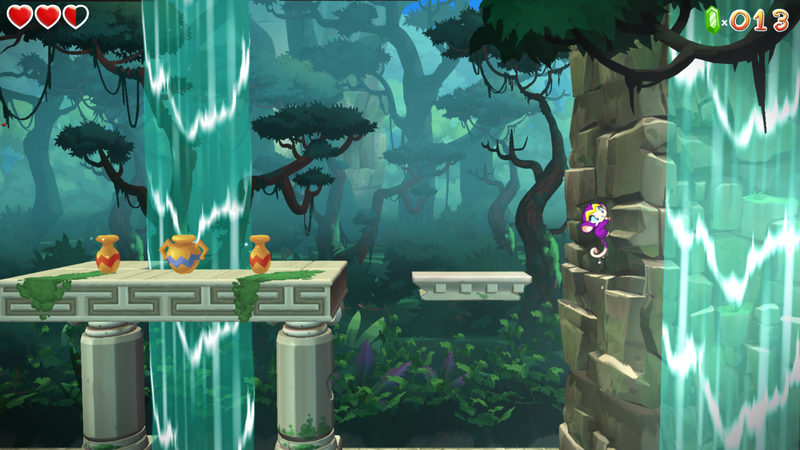 I would also like a new 2D HD art style (Like Rayman Legends) for the next 2D Mario. I feel as if the "New" series would be more endearing if it were to adopt different artistic styles with each sequel. SMB 1, 2, and 3 all had different sprite art, whereas the "New" titles seem to recycle everything only with added resolution in subsequent entries. This interchangeable aesthetic makes them all seem a little boring. At least to the eyes. 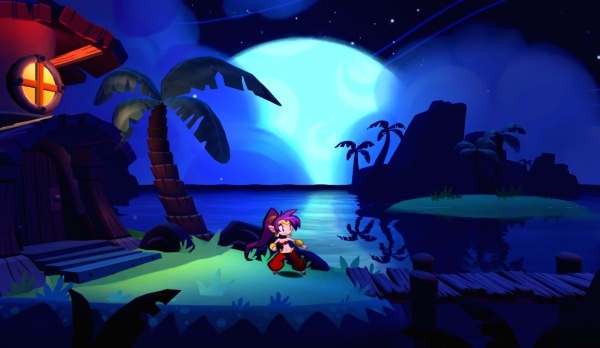 @Kirk I think a good engine for 2D Mario games would be the engine that WayForward used for Ducktales Remastered and is using for Shantae Half Genie Hero. That second screenshot is from an early build from 2013, so I'm not sure how different it looks now. The E3 trailer gives a look at a more up to date build. 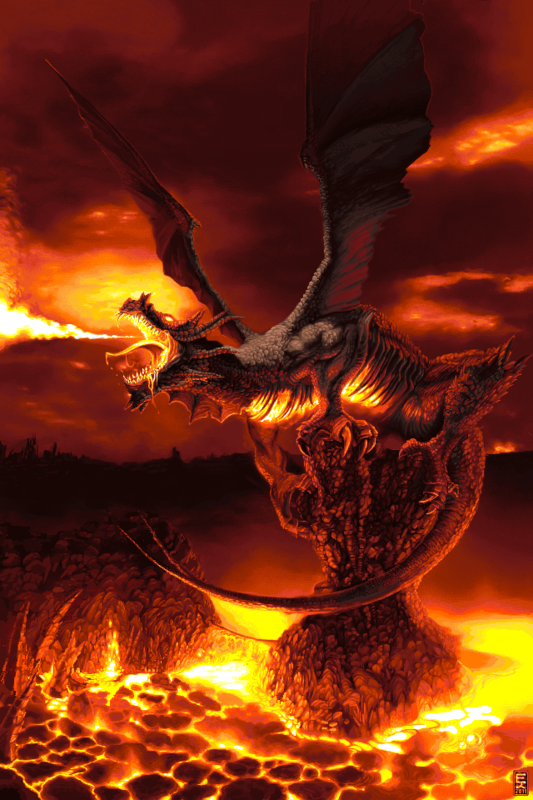 @Mister_Wu Well, technically, the wings on some of the creatures have a bit of shading, or shadow at least. |f Nintendo could get the shading and shadows with that kind of art (and it is possible to do shading in vector art) then I'd love to see a full 2D Mario game done like this. I could probably live with it without the shading, but only if everything in the levels fully embraced the style and didn't have too much of a tiled modular look to them. So, not pixel art, because that's too dated for some modern "cool" gamers (even though I love it). Not the platicky/rubbery rendered look as seen in New Super Mario Bros, because imo that just looks a bit fugly and wrong. It's too computery and soulless and doesn't have any of that lovely hand drawn, organic, illustrated/cartoony look that I think really suits Mario. And not just the most basic and flat looking vector art, because it will probably just end up looking like a cheap Flash game and that would just to totally disappointing for a Mario game. High quality vector with shading would be the way to go imo, with full animation too, if we're talking about a purely 2D game (with maybe some 3DS style 3D depth and multiple layers of parallax). I basically just want it to looked like you are running through a full animated version of one of those illustrations of the Mushroom Kingdom from SMB2/SMB3 that I posted; like the entire game was actually lovingly crafted by the illustrator who created those images and animated by a trained animator. I think that would be literally STUNNING. SMB3 and especially SMW were made with love, care and devotion. They are finely crafted games at the top of their genre that have stood the test of time. The NEW 2D games, although enjoyable, don't have that same love and devotion. Personally I believe there is room for both 2D & 3D, which should alternate with releases. The 3D games still have impressive sales numbers and a proper SM64 sequel or Galaxy 3 would be great. However, the 2D versions need a complete overhaul to maintain interest and relevance for years to come. Unfortunately you can't argue with sales though; they are like COD and FIFA in some respects - they don't change the formula too much and so they appeal to masses. @IceClimbers That's still stuck half way between the two for me (because of them mix of 3D and 2D), and still has a a kind "cheap" look to it at times (although generally it's pretty nice), but it's getting closer to what I'd like to see. @Kirk I too like pixel art very much, and some Miiverse drawings are really awesome, the only gripe that I have comes from the game you use as example: Yoshi's island. Its pixel art is gorgeous, but unfortunately it was never released on Virtual Console probably due to the special Super FX chip used for the game on the SNES. The only version Nintendo still sells to us is the GBA one that is much more pixelated than the original (although I would still say that this game alone justifies the presence of GBA Virtual Console on Wii U!). To have a good looking version again the developers would likely need to redo the pixel art for a second time. @Captain_Gonru After 5 days off I'm a little rusty and slowly working myself back into form. .
@Mister_Wu Well that's why I used those images from Tetris Attack in my last post, because that's basically higher-res versions of the kind of stuff seen in Yoshi's Island. Not quite as crayon and child-art looking but still lovely. 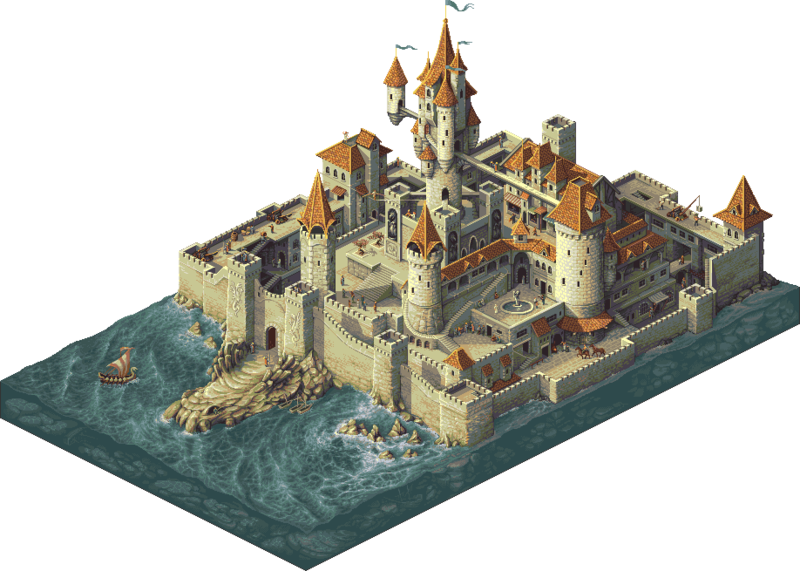 So, if the artists basically drew really large pixel art, way bigger than you would normally draw a sprite in an old game, and then just displayed it on an HD screen (which by default fits multiple times as many pixels into the same area as and old SDTV), then it would basically look like really high-res pixel art at the same size as that seen in the original game (the individual pixels would be pretty much unnoticeable at normal viewing distance). So, still pixel art, in the style of Super Mario and Yoshi's Island but just really high resolution. A Mario game done like that would look genuinely stunning. Now all I need is a 3D Mario Maker and a Mario Kart Course Maker. Despite having grown up with all iterations of Mario I prefer the 3d games myself. I always had issues with the physics although I do like the "New" series. I do think that SMM doesn't break the Nintendo mario mold. There will always be a desire for well crafted (normal looking) levels, new power ups and engaging boss fights. I favor the 3D Marios and believe the NSMBU to be the best in the 2D sub-series of games. 2D Marios, going forward, should feature a different kingdom/world setting. SMB1 - Mushroom Kingdom, SMB2 - Dreamland/Subcon, SMB3 - Mushroom World, SMW - Dinosaur Land. The "New" SMB games all suffer from recycling the same setting (Mushroom Kingdom/World) and bosses from SM3 and SMW (to some degree). At least NSMBWii and NSMBU added co-op to freshen up the package but I felt NSMB1 or NSMB2 didn't match the quality of past games. Nintendo could create a totally new world as its setting or easily revisit Sub-con or even Sarasaland and have Daisy as the princess to save next time around... at the very least. @Giygas_95 @Dpishere good to know, thank you both! I think that's very impressive. They should do some kind of mix game. Kinda like the Sonic Generations. @eaglebob345 I'm all for a Mario Kart course maker! @Kirk Still would look far better than the NSMB series does. I think if they used that engine but with a Nintendo flair, then they could create a great looking 2D Mario game. However, there's more to it than the visuals. To get rid of the homogenized, sterile doctor's office feel that the NSMB series gives off, they'll have to do a few things. While an artistic/visual overhaul is definitely a big part of it, level design themes and the music are important as well. They really need to take a new direction with the music. New tunes, new style, etc. "Bah, bah" is getting old. I'm hoping and expecting that the release of Super Mario Maker means that they're planning to do something radical with the 2D Mario formula in the future. Otherwise, they face justifiable claims that anything new could simply be built with the tools we get with SMM. If they don't radically shake the foundation I will be deeply disappointed as this feels like a good place to break from. My hope? A Mario game that embraces a host of new visual looks and makes those aesthetics part of the gameplay in unique ways. I've been thinking a museum might work rather well, and that he gains skills and abilities in, say, pencil drawings versus paintings, etc. In the same way that Kirby gained new powers from his foray into yarn. I think it'd be really interesting, but I think they need to radically alter the aesthetics and possibilities like they did with Galaxy in the 3D space. I think the 2D series should take a bit of a hiatus but not as long as it took last time (between SML2 and NSMB). 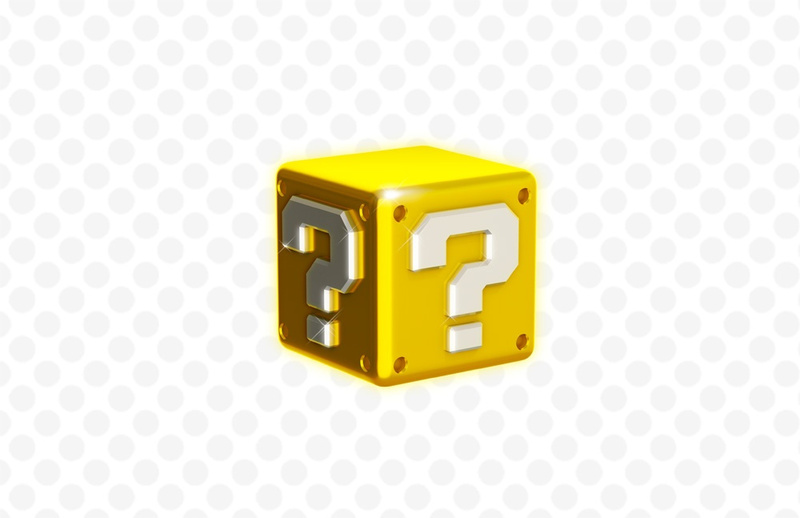 Maybe somewhere towards the middle of NX's lifespan come out with a new one. I'm not sure if it was intentional but the 2D sections of Mario Galaxy always seemed years ahead of the NSMB games to me. @IceClimbers #90 Totally agree, on all those points. Nostalgia is all well and good and SMW is definitely the Mario game I have the most fondness for but I absolutely love the "New" games (not played 2 on the 3ds). The multiplayer, collectables, challenges and general level of polish on MSMBU is incredible. Perfect difficulty ramping. It's a great game. Plus the level of control has been perfected along the way. Going back to the older games, particularly the NES ones shows how much this has been improved. I'm glad SMM uses the NSMBU physics for all the templates.